Lupin in Deathly Hallows pt 2 - Deleted Scene - "Hogwarts Battlements". 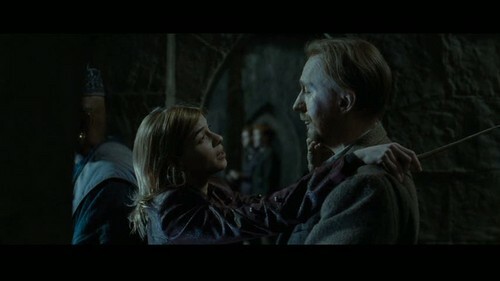 Remus Lupin in a deleted scene from Harry Potter and the Deathly Hallows (part 2). HD Wallpaper and background images in the Remus Lupin club tagged: remus lupin screencaps david thewlis harry potter and the deathly hallows part 2 dvd special features deleted scene hogwarts battlements. This Remus Lupin Screencap might contain fernsehempfänger, fernseher, glotze, flimmerkiste, tv, tv-gerät, idiot box, goggle-box, zeichen, plakat, text, tafel, schilder, and poster.